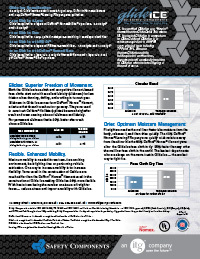 UL has certified Glide Ice with DuPont™ Nomex® filament as a “drop in” thermal liner for Glide Gold. 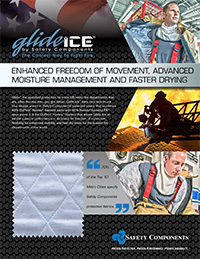 This means UL has tested Glide Ice in comparison to Glide Gold and Glide Ice is at minimum equivalent in all NFPA 1971 physical tests including TPP and THL. Chicago, Houston, Phoenix, Philadelphia, Los Angeles City/County, San Jose, Pittsburgh, San Diego, San Francisco, Miami, Broward County, Palm Beach County, Orlando, Kansas City (MO), Mobile.